Based in Harleysville and Center Valley, Fiore & Barber, LLC provides vigorous criminal defense representation to clients in Norristown, Allentown, Doylestown and throughout southeastern Pennsylvania and the Lehigh Valley area. We understand that being charged with a crime may seem like an overwhelming experience, but it does not have to be. Our attorneys will guide you and fight for you through the entire defense process, from initial hearings through the conclusion of trial. Many DUI Defense lawyers fight DUI and other criminal charges in one of two ways: they either focus on trying to beat the case on the evidence through aggressive litigation, or they rely on negotiation to find a way to minimize the consequences. At Fiore & Barber, LLC, we know that the best results usually come from a combined approach. 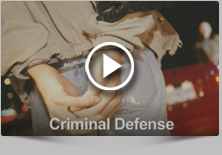 Employing comprehensive defense strategies uniquely tailored to the charges at hand, we are often able to obtain dismissals, acquittals, or reduced sentencing for our clients. Fiore & Barber, LLC offers experienced DUI defense lawyers for clients ranging from first-time offenders to those with one or more prior drunk driving convictions on their records. Those charged with DUI should be aware that driving under the influence is taken very seriously by the courts and law enforcement officers; therefore, it is important to retain experienced, hands-on representation. We possess not only DUI expertise, but also genuine concern for our clients’ rights and welfare. Do I Need To Hire an DUI Defense Lawyer? We understand that dealing with the consequences of an arrest can be intimidating and frightening. If you or a loved one faces a DUI or other criminal charges, we possess the experience, integrity, and advocacy skills to guide you through this difficult time. Call us at 215-256-0205 or contact Fiore & Barber, LLC online for a free, informative, and completely confidential consultation. With offices in Harleysville and Center Valley, PA, Fiore & Barber, LLC serves clients in Montgomery County and Bucks County in southeastern Pennsylvania, including the Municipality of Norristown and the Borough of Doylestown.